Are you looking for a company you can trust to expertly install high quality artificial grass on your residential or commercial property in Upland, CA? You’ve come to the right place. Green Turf has been installing artificial grass in all kinds of applications throughout Upland, CA, and many surrounding communities for over year. Rest assured that your project in Upland, CA, will go off without a hitch when you rely on Green Turf. Unlike some other artificial grass installation companies, we exclusively install TigerTurf grass. TigerTurf is a top manufacturer of artificial grass made right here in the USA. 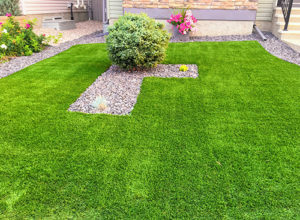 They are industry leaders who are always innovating new ways to make their grass the most durable, strong, attractive, and vibrant in a whole host of applications. Over the many years in which we have been installing TigerTurf artificial grass, we have found that it’s completely reliable and has great longevity. Artificial grass enhances all kinds of properties in Upland, CA, including residential lawns, commercial outdoor spaces, pet areas, athletic fields, and putting greens. We have successfully installed artificial grass in all of these applications and more in Upland, CA, and various other cities in Southern California. Our experienced crews won’t rest until your property looks absolutely pristine. Every inch of your artificial grass will be meticulously installed so that it looks and functions perfectly for many years to come. We invite you to start this process by simply requesting a consultation with Green Turf. We’ll be happy to send one of our experts to your property to take some measurements, discuss the various possibilities with you, and provide you with a comprehensive estimate for your new artificial grass. 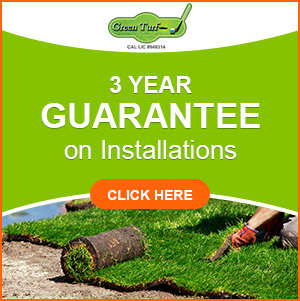 When you choose Green Turf for all your artificial grass needs in Upland, CA, you will be thrilled to know that we offer 2 excellent guarantees to give you real peace of mind. The first is a 3-year installation guarantee from us. If at any point during the first 2 years of using your artificial grass on a daily basis, you find that there’s a problem with the way we installed it (which is highly unlikely), we will come back and fix it at no cost to you. In addition, TigerTurf provides a limited 15-year warranty on the turf itself. If certain covered problems develop, your turf will be repaired or replaced at no cost to you. These guarantees are excellent and in all likelihood, you won’t have to use them, but it’s good to know they’re there, just in case. So many people spend inordinate amounts of time and money trying to maintain their natural grass. It’s just impossible in a climate like Upland, CA! You’ll save thousands of gallons of water every year by upgrading to Upland, CA, and you’ll save tremendous amounts of time, too, because artificial grass requires very little maintenance. 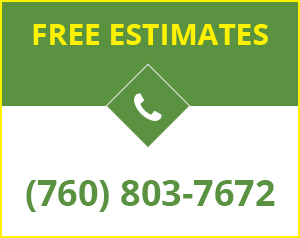 Request your free estimate now by calling Green Turf at (951) 656-4150.